When I turned on Shin Megami Tensei IV: Apocalypse I didn’t really know what to expect regarding the title. As it’s not quite a sequel but isn’t really a spin-off either, furthermore being connected so intrinsically to a numbered Shin Megami Tensei I wondered how it would stack up to its amazing predecessor. Well the long and short of it is that it lives up to IV and even surpasses it in some ways. This is because Atlus seems intrinsically aware of the flaws of both the Shin Megami Tensei series as a whole and IV in particular. From the early to the late game the most glaring flaws of the original are ironed out making Apocalypse the easiest playing entry and quickest recommendation for ANY Shin Megami Tensei title outside of the Persona spin-offs. Now I know what you’re thinking this sounds like - gasp - Atlus made the infamously hard Shin Megami Tensei a more casual experience. While it is easier to grasp and is simpler than its predecessor, it’s not for everyone. A more than passing knowledge of both the mainline Shin Megami Tensei and IV in particular would be worthwhile, though it’s certainly not required. This is because despite being a kind of spin-off/what if story Apocalypse easily stands on its own strengths. One of the glaring issues of most mainline Shin Megami Tensei titles is the inverted difficulty curve as the games start hard and gradually become more manageable if not easy. IV had the added issue of its initial area being a total bore and uniquely bland in the normally twisted post apocalyptic worlds of the Shin Megami Tensei series. Apocalypse takes this criticism to heart by ignoring this area for well over fifty hours and dumping you right into the ruined hellscape of demon infested Tokyo. By doing this, Apocalypse quickly speeds up the narrative arc of the game. In fact a pivotal encounter for your character takes place within the first two hours of game play. An encounter that will define your entire play through SPOILERS - you’re killed and resurrected by a god. Only later will you find out why you were chosen and lets say it’s not because you are some “Chosen Hero”; no your destiny is decidedly darker. Like all Shin Megami Tensei games Demon Fusion is a key aspect of gameplay by collecting and fusing stronger Demons and High Order beings you continue to progress. Luckily Apocalypses roster has been significantly expanded from IV. With hundreds of demons of varying usefulness and their skills at your disposal Apocalypse offers some of the most robust customizing options in an RPG on the market. Pokemon this ain’t. Furthermore as part of the streamlining Apocalypse is much easier to navigate the main games. As there is often a useful marker telling you where you need to go next. This is useful and Toyko is a large an expansive map and it’s rather easy to get lost. However for the side quests you still need to find your own way, I hope you know your Ikebukuro from your Shinjuku to hunt the big baddies of the game. On a narrative perspective, Apocalypse is refreshingly straight forward and actually gets down deep into the lore underpinning Shin Megami Tensei IV as a whole. It’s an enjoyable addition that answers a lot of the questions longtime fans of the series likely had regarding the gods and demons that plague the world. For many fans of the series I know people were annoyed that we the fans didn’t get a full console addition to the game. To be honest, after two standout entries on the 3DS this is becoming less and less an issue. 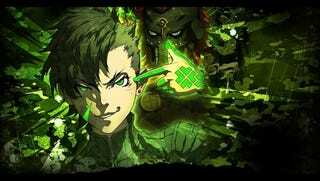 Shin Megami Tensei IV and Apocalypse are big games no matter how small the screen, if you are a fan it is imperative you play this title. While it doesn’t reach the highs of Nocturne or Digital Devil Saga, it’s a worthy entry into the Shin Megami Tensei line. All around with nearly 100 hours of playtime and a level 99 Character it’s clear I quite enjoyed Shin Megami Tensei IV: Apocalypse perhaps even more than the first. 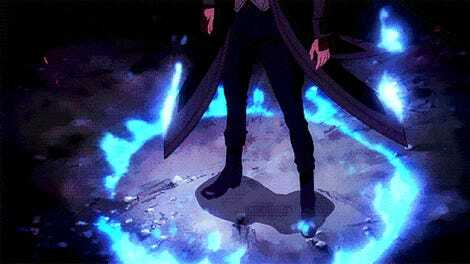 Its ability to grab you is rare in a handheld and its ability to keep you is rarer still. There are worse ways to spend four days worth of time than capturing, fusing, eating, and battling demons in Shin Megami Tensei IV: Apocalypse.